It could be argued the best game ever played in Purdue’s Mackey Arena was the first one — against UCLA in December of 1967. Everyone who was there seems to remember it vividly. 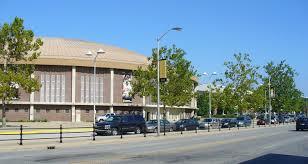 This story was published as Purdue was about to open its remodeled version of Mackey. Purdue’s men’s basketball team filled Mackey Arena with 44 seasons, 638 games and an endless tape loop of memories before the facility was plumped up and pimped out this year. Strange then, isn’t it, that the game standing above all others for anticipation, drama and quality of play might very well have been the first one? How could you top what transpired on Saturday, Dec. 2, 1967, when a perfect storm of positive circumstances showered the new facility on Northwestern Ave.? * The university was dedicating a new arena, a round one that broke loose from the habit of the arch-roofed, barracks-like fieldhouses splattered across the nation. The only more impressive structure for basketball in the Big Ten was Assembly Hall at Illinois, built four years earlier, but Purdue, for once, was ahead of the curve. * Sophomore Rick Mount, the highest-profile recruit in Purdue’s history _ certainly then, and perhaps even now _ was making his varsity debut, two years after appearing on the cover of Sports Illustrated and one year after averaging 35 points for a freshman team that sometimes outdrew the varsity at Lambert Fieldhouse. * The opponent was UCLA, coming off an undefeated season and national championship, and destined to win the second of its seven consecutive titles at the end of the upcoming season. It carried a 34-game winning streak and had just become the first team to win the title without a senior in its playing rotation. It not only had 11 returning lettermen, it was bringing back two other players who had sat out the previous season _ Mike Lynn (disciplinary suspension) and Edgar Lacey (knee injury). * The opponent’s star attraction was 7-foot junior center Lew Alcindor, perhaps the greatest college player ever, who would in later years change his name to Kareem Abdul-Jabbar and became one of the greatest professionals as well. He had been so dominant the previous season that the NCAA had instituted a rule against dunking – which only served to help him round out his offensive arsenal by perfecting the sky-hook. * And, the opponent’s coach was John Wooden, the former Purdue All-American who at 57 years old was eight years from retirement and widespread acknowledgment as the best and most respected coach in the history of college basketball. 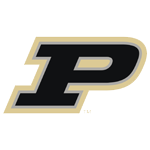 Purdue lost the game, 73-71, when a late comeback faltered. Future games in the arena would aid the cause of Big Ten championships for the Boilermakers, and two NCAA tournament games played there in 1980 got them started on a run to the Final Four, but it wouldn’t be an insult to say it was all downhill from there. Surely none of the games that followed left the fans as exhilarated and drained as this inaugural ball. And surely no other game contained as many outstanding players. Seven of them went on to play at least one professional season in either the NBA or ABA, for a total of 54 seasons — with Jabbar accounting for 20 of them.